I had an amazing time with UWEC art students this morning. I loved every minute of it. I pulled no punches and was very straight with them about my experiences and what awaits them “out there” in the art world. I did my very best to encourage and inspire them, and to embolden them about their importance and worth. I care a lot for students and I wish them the very best. 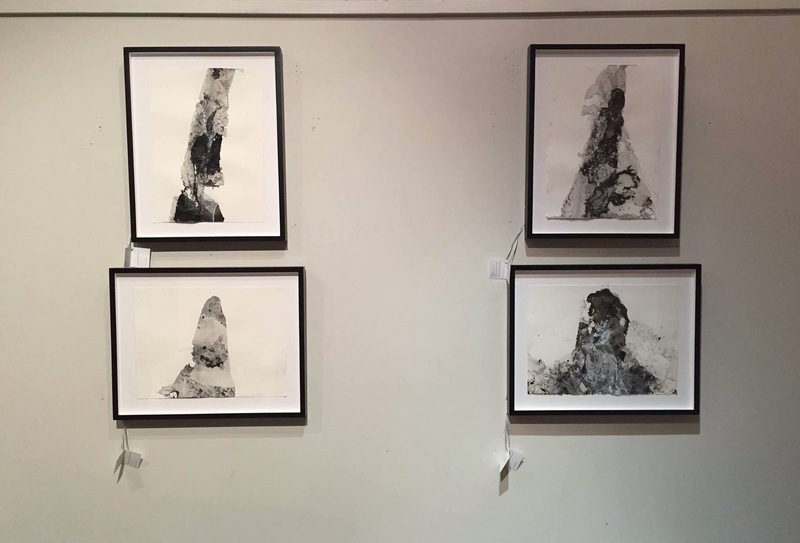 Here’s four of my B&W paint on paper works currently hanging at the New York Design Center. They’ve just been placed on hold & will hopefully find their way to a buyer.